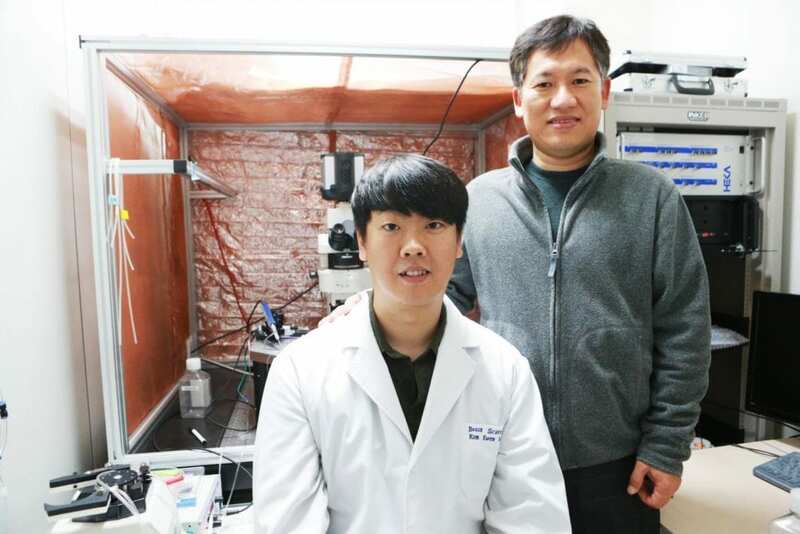 A research team led by DGIST Professor Byung-Chang Suh at the Department of Brain and Cognitive Sciences has observed in real-time and identified the interaction of calcium channel complexes existing in nerve and heart cells inside cells. Calcium channel complexes consist of alpha 1(α1), beta (β), and alpha 2 gamma (α2δ) subunits, which play important roles for calcium channels to control the inflow of calcium ion inside cells. Despite many scientists' efforts into identifying and analyzing the interactions of complexes, there has been no significant research achievements so far due to difficulties in verifying them in real-time. Professor Suh's research team first modified and applied the 'Rapamycin-inducible FKBP-FRB dimerization technique', inducing calcium channel β subunits to move to organelle, a specialized subunit contained inside a cell membrane, mitochondria, or an endoplasmic reticulum, to create an environment that can be observed by eyes in real-time. Using the patch-clamp, the team could identify not only the interactions among various subunits inside calcium channels but also among subunits which could not been researched before. β subunit is combined stably with α1 subunit if it is expressed by itself inside a calcium channel. However, if more than 2 β subunits of different types exist inside the same channel, β subunits of the existing α1 and β combined subunits are replaced by another single β subunit due to a competition among β subunits, reducing stability. This has been identified by the research team. This is considered as opening a new horizon in the related research by enabling to observe in real-time the dynamic combination of α1 and β subunits in the calcium channel of a live cell due to the competition of subunits. In addition, such interaction among subunits mean more precise control of the calcium ion inflow inside cells, showing the importance of the close interaction among subunits. Furthermore, the researchers also discovered new phenomena caused by subunits' interactions such as a decrease in calcium inflow into a channel caused bye the separation of α1 and β combined subunits, decline in the channel blocking speed, and decreased activity of calcium channels caused by the phosphatide of cell membrane. Professor Byung-Change Suh said "Since this research was carried out on nerve and heart cells, it is expected to open a path for the development of new treatment on high blood pressure and various brain diseases. The research technique used in this research is also expected to greatly influence the research of various proteins inside cells that have interactions among proteins". This study has been published on the latest issue of a world-renowned international journal, 'Proceedings of the National Academy of Sciences of the United States of America (PNAS)'.